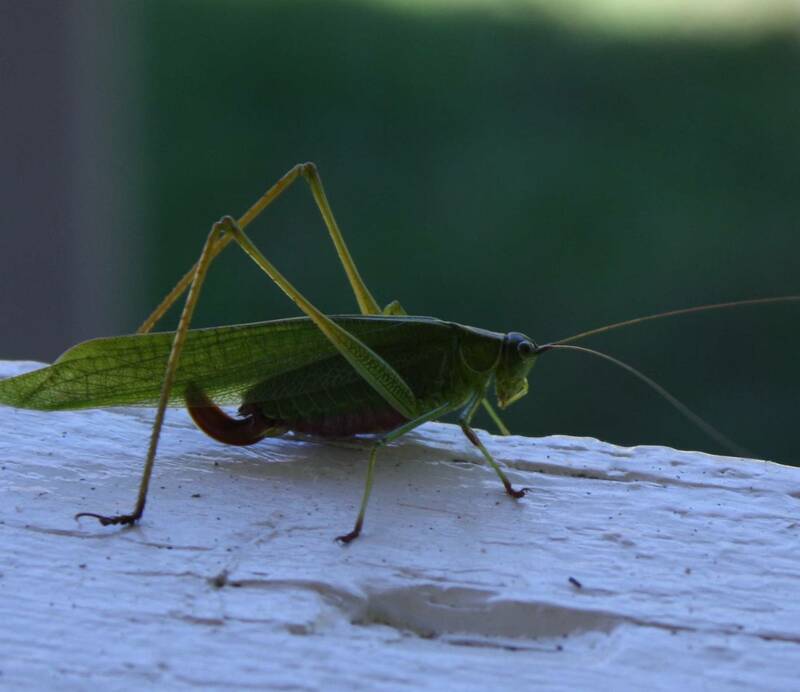 Night after night from July until cold weather the katydids provide background music for all outdoor activities here. Even when I am inside, I can hear them if I listen carefully. Sometimes their constant strumming gets to be a little much, and I long for the silence of early summer evenings. A few katydids almost always arrive at Toxaway around the 23rd of July and begin practicing their music as they wait for others to join them. They were late this year by a week or more, but finally they all made it in. When the katydids arrive I remember Grandma’s laughter and her story about Bella Jablonski, the city girl from Brooklyn who came to visit her. Bella was Aunt Altha’s friend. They were both student nurses at the Jewish Hospital in Brooklyn, New York at the time, and Aunt Altha had invited Bella to the mountains for a short vacation. Bella was completely ignorant of farm life; Grandma said Bella mistook the rooster’s crow for the lowing of the cow. I guess that’s possible if you’ve heard neither. Well, of course Bella had never heard katydids performing in concert, and nobody thought to tell her of their all nighters. Grandma’s was a board and batten farmhouse that let in not only the heat and the cold, but every sound. The katydids have gone to scraping in the daytime now as well as evening, and their buzzing fills each sunlit afternoon. They are very docile now and easy to photograph. I found one on the porch railing today.